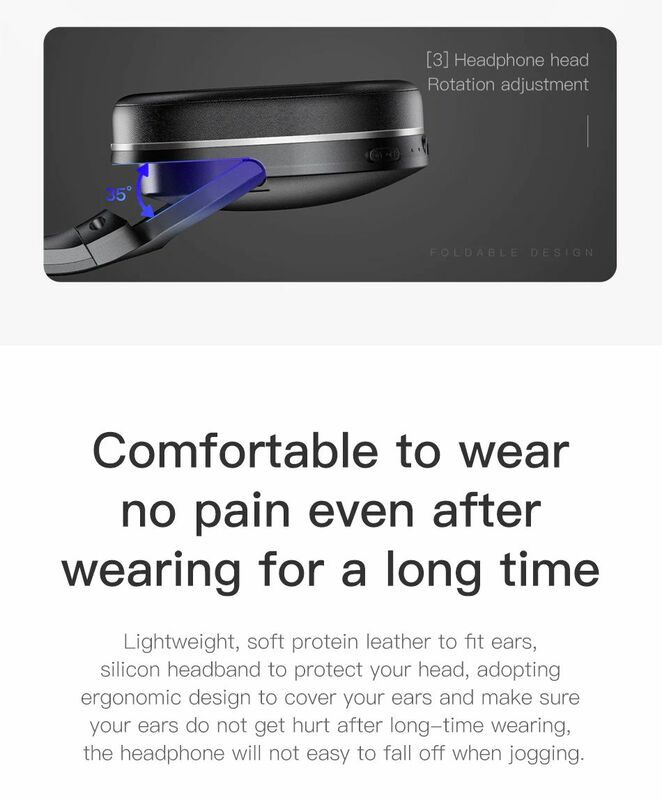 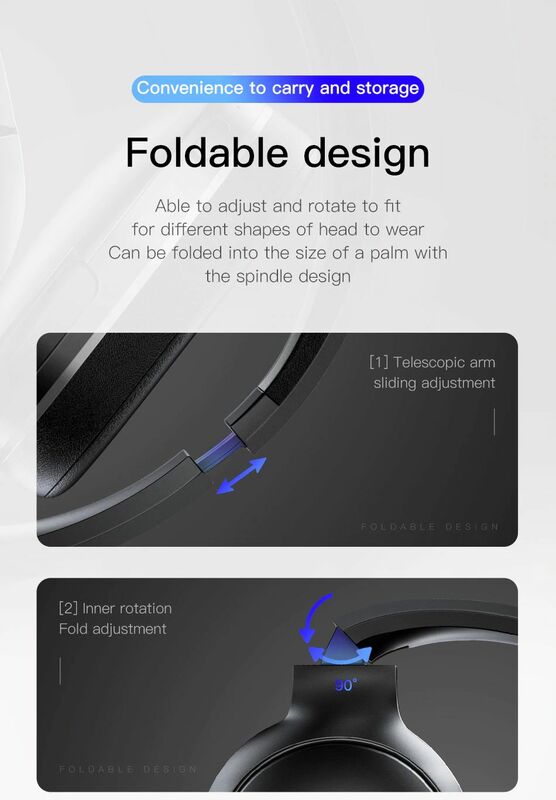 Lightweight, soft protein leather to fit ears silicon headband to protect your head, adopting ergonomic design to cover your ears and make sure your ears do not get hurt after long-time wearing, the headphone will not easy to fall off when jogging. 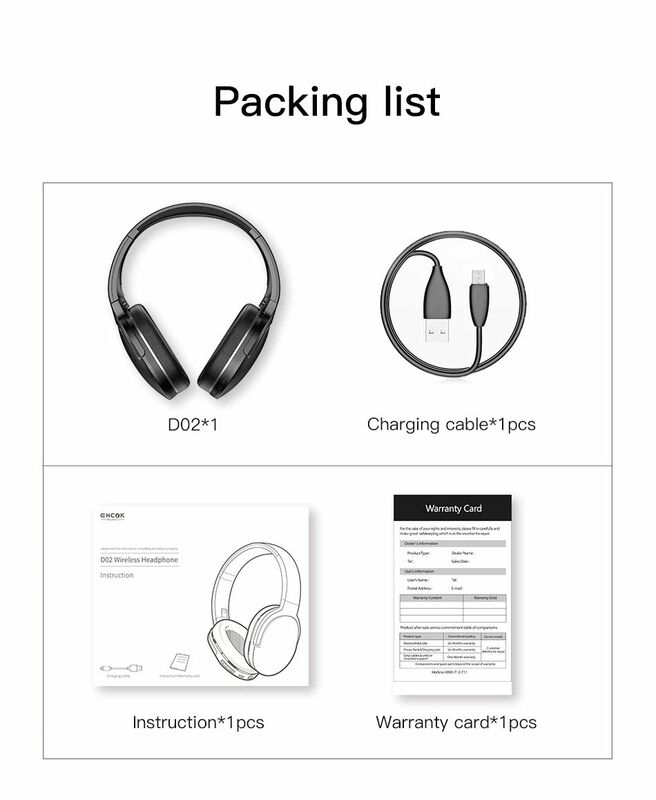 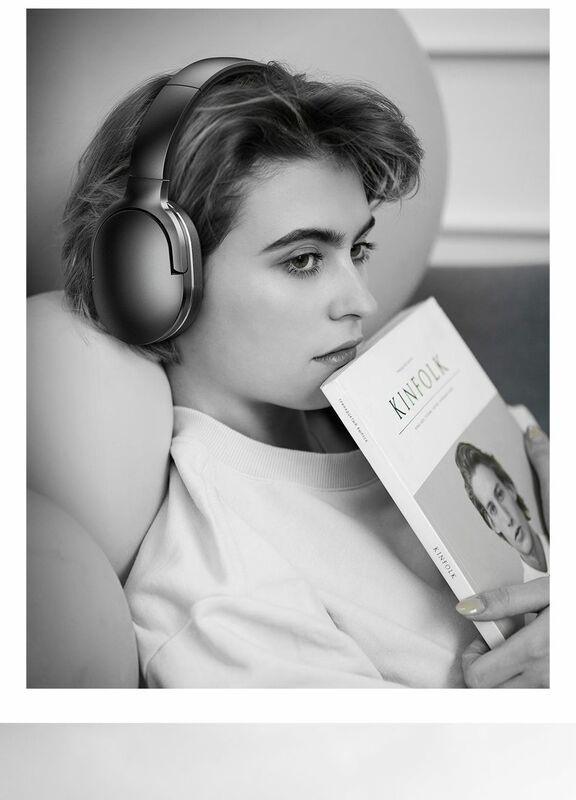 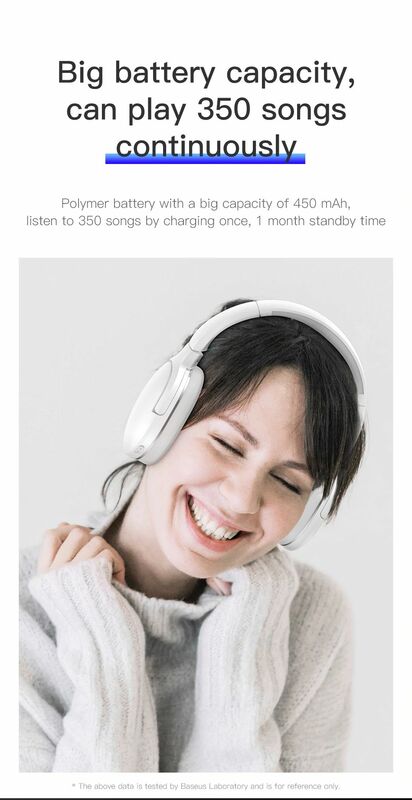 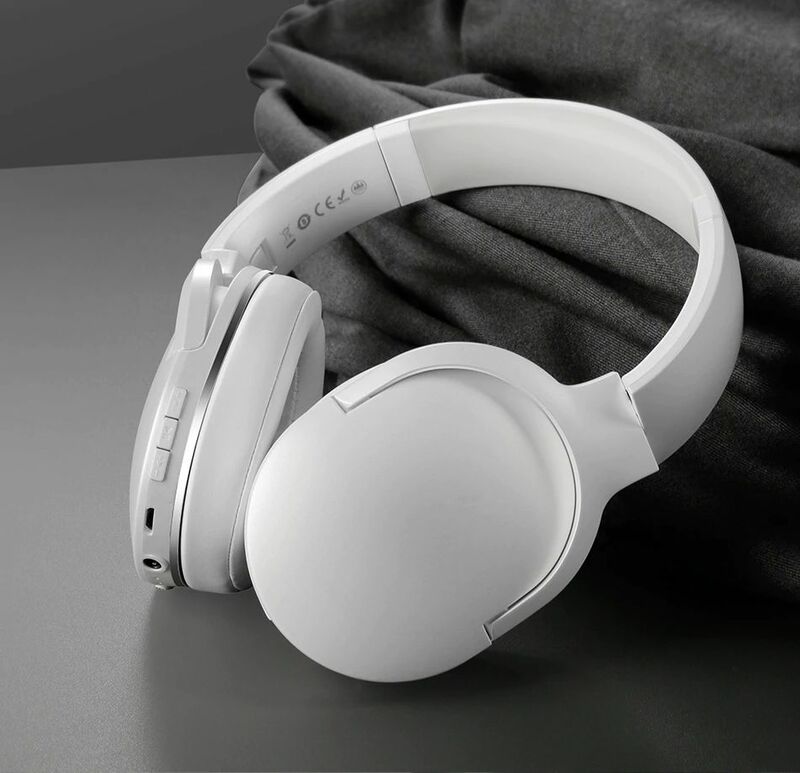 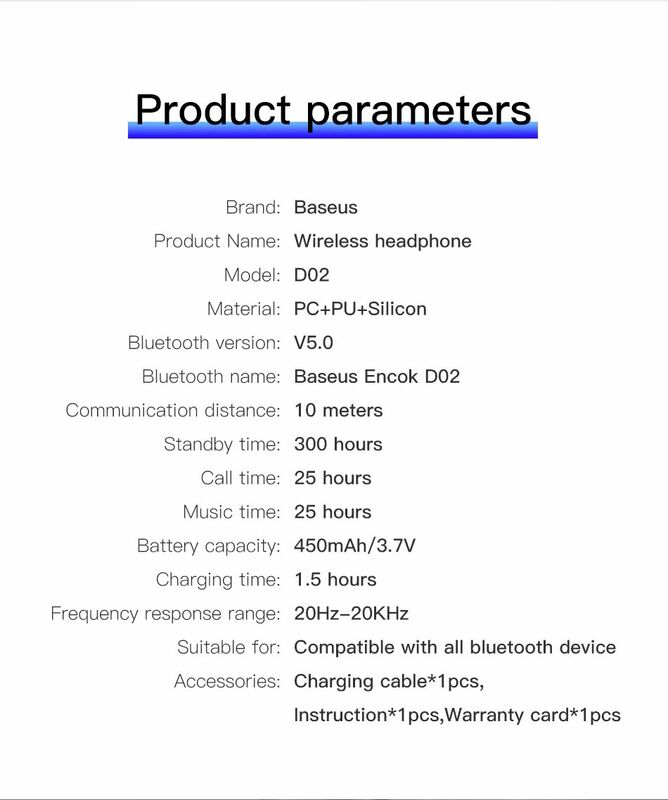 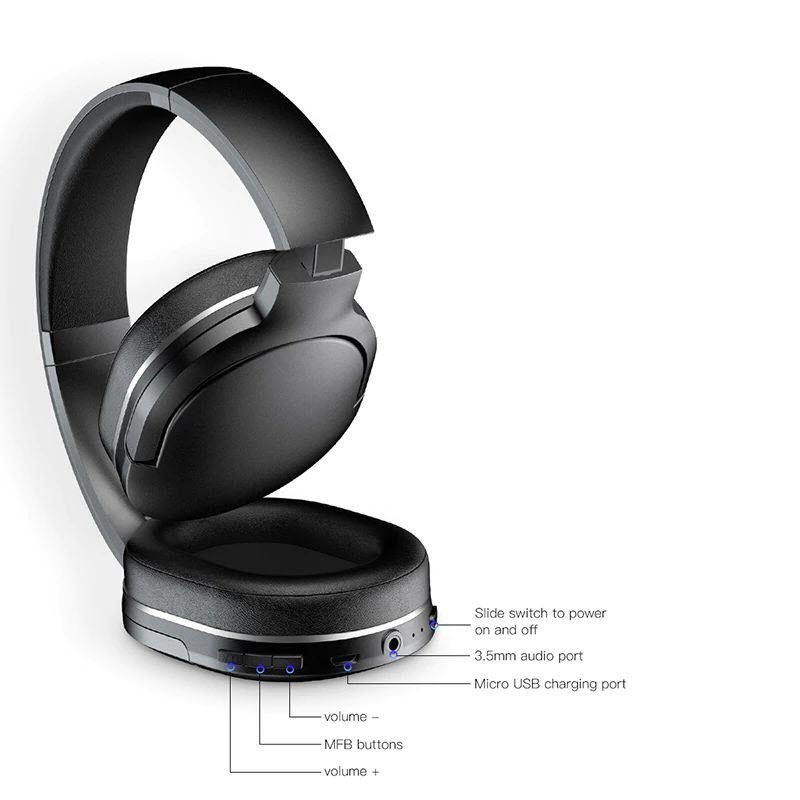 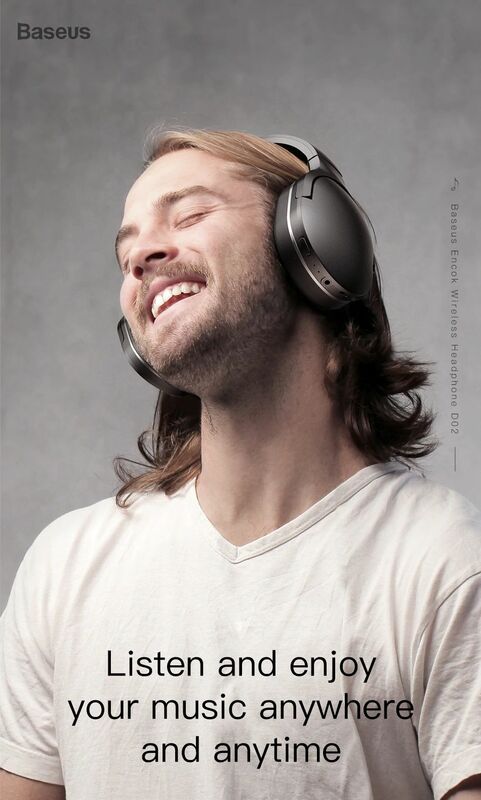 Baseus Encok team invited many music and headphone lovers to experience the product after the headphone was finalized. 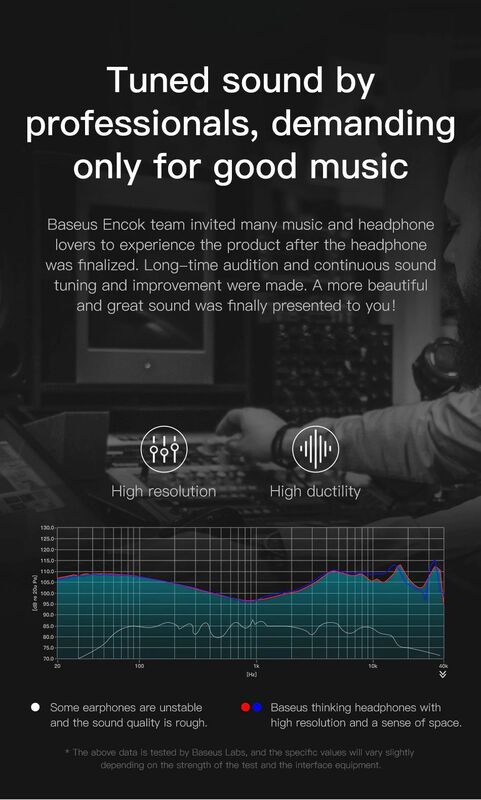 Long-time audition and continuous sound tuning and improvement were made. 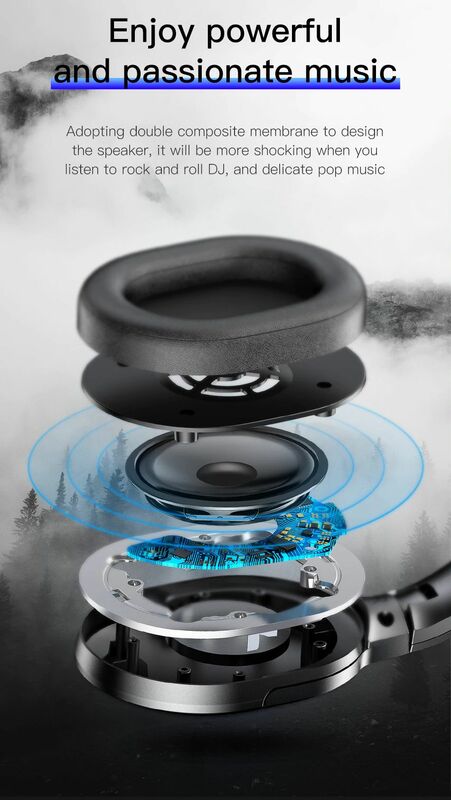 A more beautiful and great sound was finally presented to you! 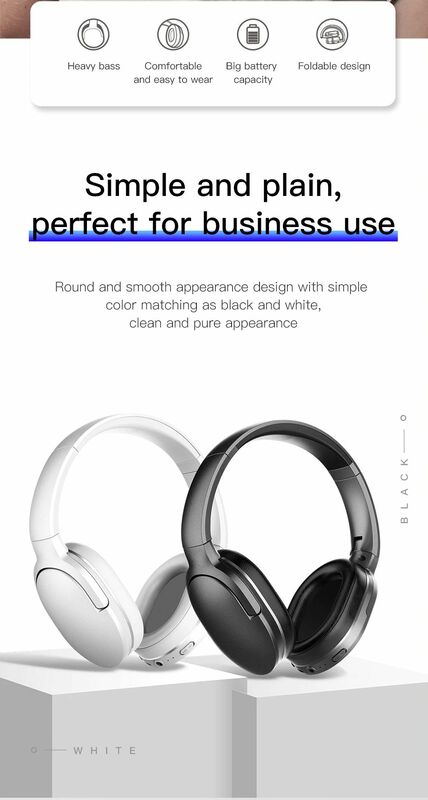 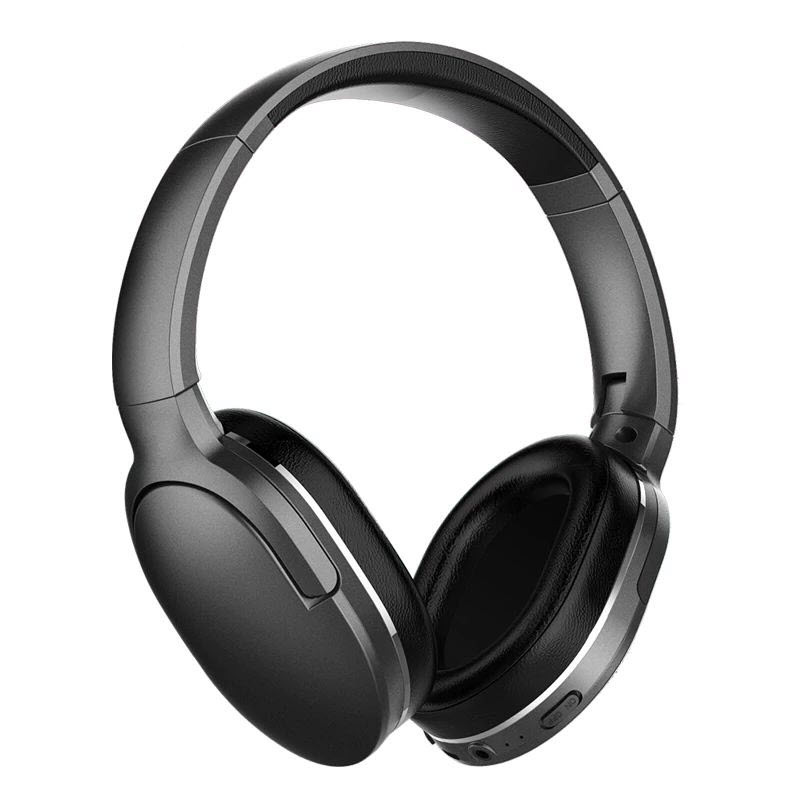 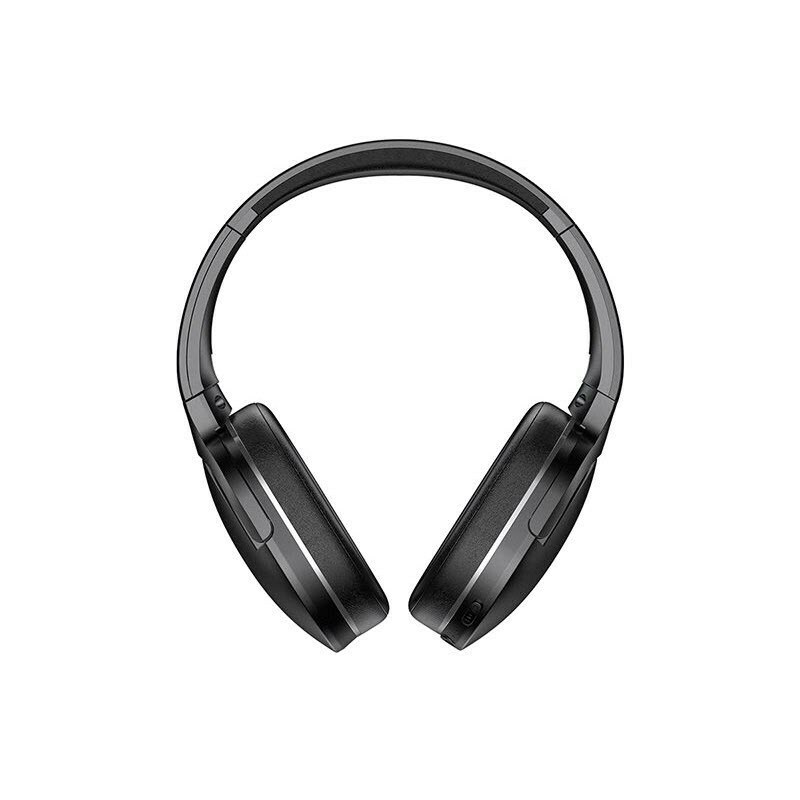 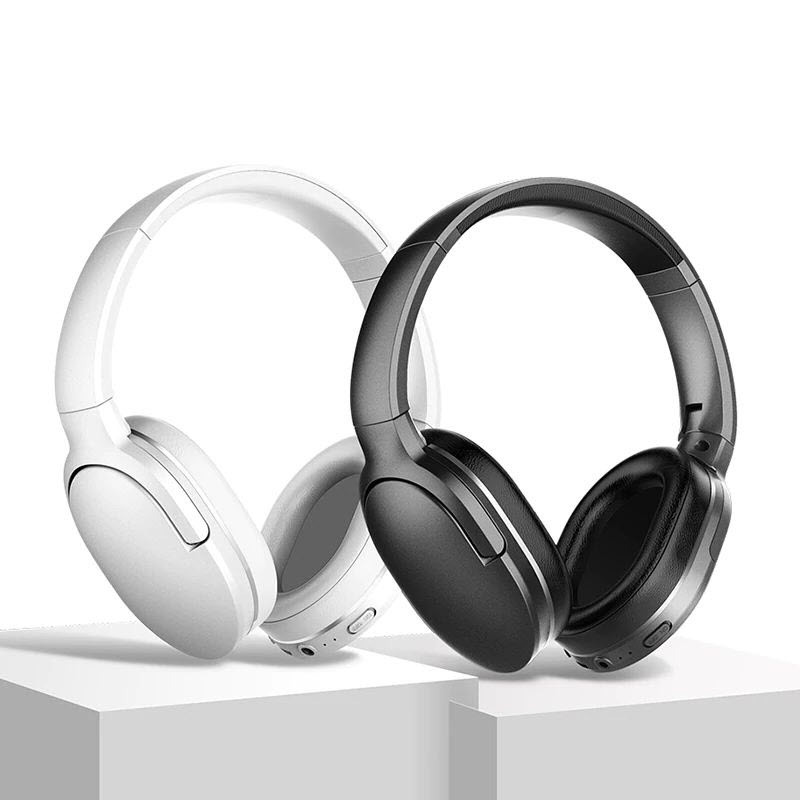 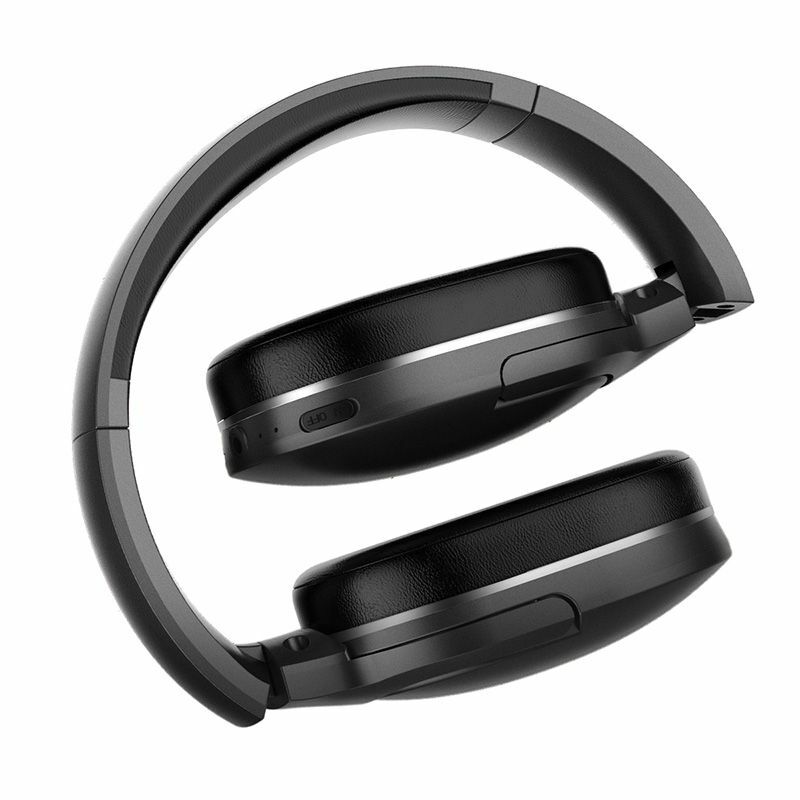 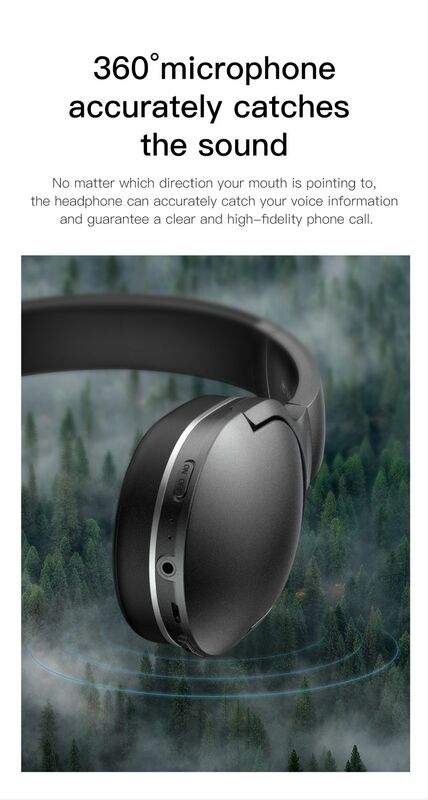 No matter which direction your mouth is pointing to, he headphone can accurately catch your voice information and guarantee a clear and high-fidelity phone call.